The Engineering Construction Industry Training Board, ECITB, has a remit and responsibility to inform and promote careers within Engineering Construction and approached Rapport to create a bespoke theatre-in-education programme to promote apprenticeships and graduate career opportunities in engineering construction across the UK, in STEM schools, to 13-14 year old students, students important to reach with careers information about future opportunities before they start thinking about key subject choices. Britain is a world leader in engineering construction. The industry needs to recruit 60,000 people over the next few years – people who are in classrooms today. Rapport created the Be a Part of Engineering Construction campaign to reach students with an interest in STEM subjects: science, technology, engineering and mathematics A multi-media educational campaign, using theatre-in-education, to deliver vital messages embraced the challenge of bringing engineering construction alive in schools. Live performances can excite, inform and engage student audiences with balanced content, unexpected actions and surprising outcomes. 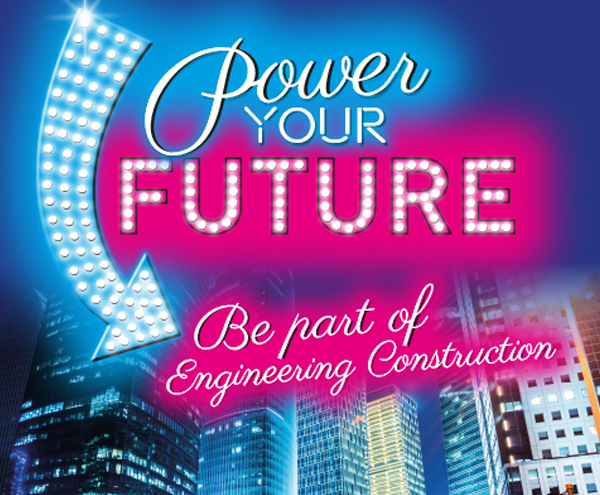 The Be a Part of Engineering Construction performance explores viable post-16 options, the apprenticeships available and the university options in Engineering Construction and demonstrates how they can lead to a variety of long and fruitful careers. Engineering success emanates from an annual update of script and stage settings to ensure relevance, keeping educational changes under constant review. Add video and film to the mix with footage of celebrity endorsements, VIP visits and constant PR to profit coverage and interest. 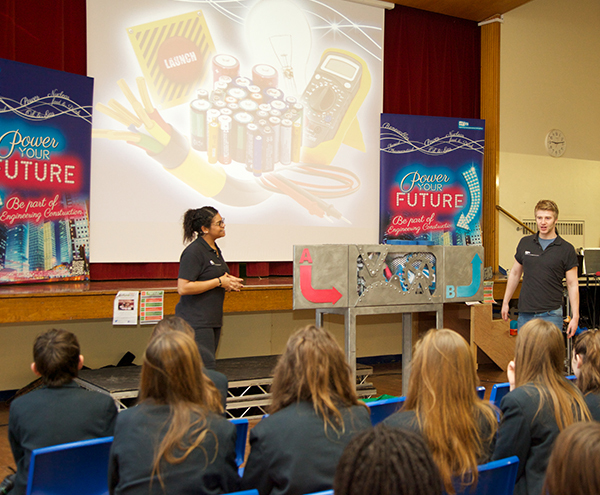 The annual acquisition campaign was to all UK STEM schools. Campaigns to the balance of UK secondary schools promoted the ECITB careers website, offered student career magazines and teaching resources. Two performance teams, on the road for six weeks each, requested by teachers, deliver up to four one-hour shows a day to audiences of up to 250 students. Each team reaches up to 24,000 students. That’s 48,000 students reached during a school year. Teaching collateral for pre-and post-performance has usage measured through market research analysing student and teacher feedback. Brand exposure from team vans, increased awareness of the ECITB outside the classroom to the wider population. Set design and costumes carried ECITB branding. Be a Part of Engineering Construction’ played at major careers exhibitions, seen, for example, by 15,000 students at London Skills. Range of posters displayed on school noticeboards. Students watch. Engineering Construction gains.